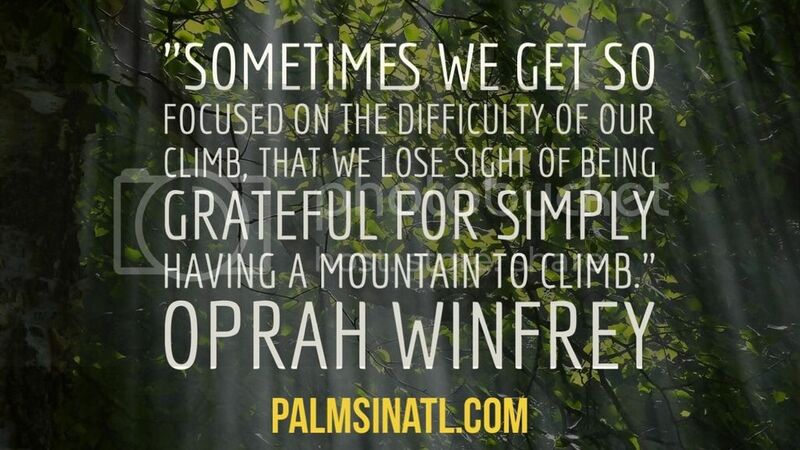 ” … it’s all kind of amazing—what we get to do, what we get to attempt, what we sometimes get to commune with. I decided to share my gratitude journal before listening to Oprah’s “What I Know for Sure” and Elizabeth Gilbert’s “Big Magic” on Audible. Bare with me as I try to not make this post a book review. Gratitude journals are a great way to be present. Sometimes, we just need to take a step back and be thankful for everything that’s going right, instead of focusing on what’s going wrong. 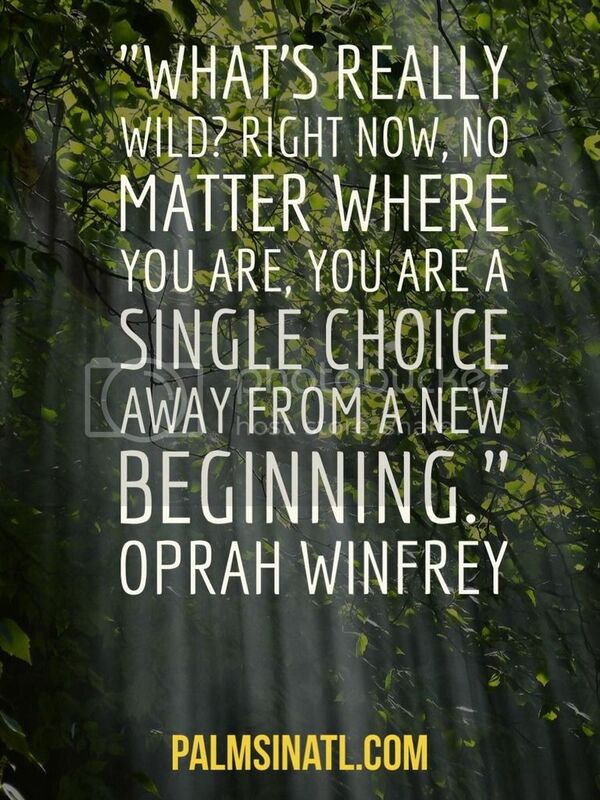 What I know for sure is I can’t change the past, tomorrow is not promised and Oprah gives the best life advice. So when Auntie O tells you how gratitude journals transformed her life, you listen! Here are a few noteworthy entries from this month’s gratitude journal. I woke up this morning: To give an idea of what my days are like living with my sister and nephews, imagine what it would be like living with the monsters from “Where the Wild Things Are”. Now imagine what it would be like living with them in a frat house. Yeah, that’s it. Some days, it is hard to wake up to this as my reality, but most days, I’m just grateful I woke up. Paid my cell phone bill: As much as I complain about having to use my phone to write blog posts, I am blessed enough to have a way to continue something I enjoy. This time last year, I was using a phone that wouldn’t even download the Word Press app. Progress! Hazelnut creamer: Y’all just don’t know how the smell and taste of hazelnut improves my mornings from 0 to 100, real quick. Countdown to Beyoncé: Every day I survive puts me closer to being reunited with Queen Bey on April 29th. If you’re not talking about Beyoncé between April 29th and May 2nd, don’t talk to me. I’m very serious. I will be in Tampa ignoring all responsibilities. I finally got the quiet morning I wanted: Remember the “Where the Wild Things Are” frat house I described earlier? Well on this day, it was quiet. Quiet enough to take a nap, despite all the work I needed to get done. Inside Out is On Demand: I watched. I cried. I conquered. The word from Pastor Jackson (Brookland Baptist Church): I may not enjoy waking up for sunrise service while visiting my Auntie Karen in Columbia, but it’s ALWAYS worth it. He said, “The greater your ambition, the more angels you’ll need. Angels will divert you from danger, deliver you from distress and direct your destiny.” Come on, somebody! Old Chicago Mediterranean pizza paired with Son of a Peach beer: So, so, good y’all. So good. 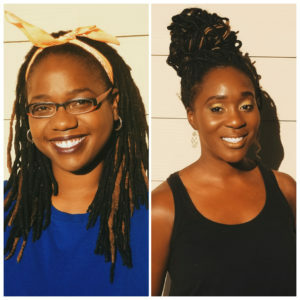 We’re not on that Oprah and Gayle level yet, but we are well on our way, and for that I’m grateful. Today, I’m grateful that I did not waste too much of my life in a toxic relationship. The actual relationships I’m surrounded by or the couple’s I know, are not #RelationshipGoals, they’re actually the complete opposite. No shade, but in my opinion, no love is the same. However, as I stared at the ceiling at 4:27am and listened to 2 people argue, for the 50th time this week, I really had to take a moment to exhale. In that moment, I was so grateful to not be either one of them, and for the relationships I no longer have–even if they’re ones I wanted to hold on to. People are in your life for a reason, season or lifetime. You may not know why they’re there at the time, but I promise you will learn a lesson or gain experience on that journey. My gratitude journal helps me reflect without getting caught up in the past. Writing down what I’m grateful for is a daily reminder that I’m always one decision away from changing my life, and being my best self. Are you in need of a new journal to store your precious moments? Here are my new favorites! If you keep a gratitude journal, I’d love to hear how it has changed your perspective, and even a few entries if you’re willing to share! Comment below or tweet me @PalmsInATL. I’m a huge fan of gratitude journals. I recommend this daily practice to all of my coaching clients. What you focus on expands. 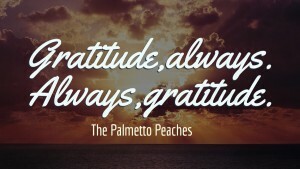 The Palmetto Peaches recently posted…Gratitude, always. Always, gratitude. Oh man! Inside Out made me cry like a baby too! I love the idea of a gratitude journal. Our attitude and our happiness is more in our control when we are mindful about what we choose to think about! Great post! I am SO grateful for my coffee in the AM. I crave my quiet, serene mornings! !